Sweden were able to secure promotion from the UEFA Nations League B Group 2 following their 2-0 win over Russia, which helped them finish as the group winners. 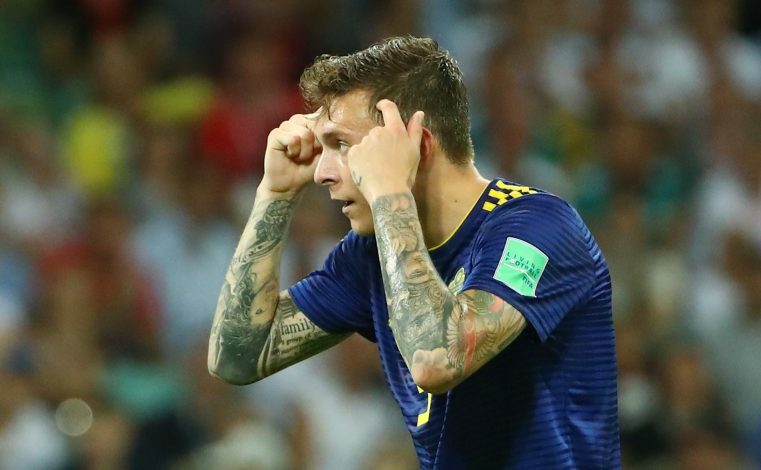 A surprising candidate, in the form of central defender Victor Lindelof, gave the Swedes a lead, before striker Marcus Berg doubled the lead to seal the victory. Following a poor debut season, Lindelof seems to have adapted to life at Manchester United, and he has been enjoying a fantastic campaign so far. Fans and pundits alike have lauded the centre-back’s performance for the Red Devils in several big games, including United’s two-legged Champions League encounters against Serie A giants Juventus. By netting a goal as well as maintaining a clean sheet on Tuesday, Lindelof brought his club form along to the international stage. And along with his form, his confidence seems to have risen as well. After the win, Lindelof took to Twitter to send out a tweet at his former Sweden and Manchester United teammate Zlatan Ibrahimovic, wherein he teased the decorated striker by jokingly hinting that his goalscoring record was under threat. But Zlatan being Zlatan, had a witty comeback all ready, and he replied by cheekily stating that the defender was performing just as he was taught by ‘the Lion’ himself. I told you its easy!